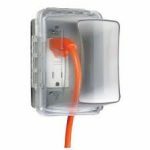 Altamonte Springs Electrician - A-Lumination Electric Inc. He stared at the electrical panel for fifteen minutes. Just stared at it. They charged me by the hour and, for one whole costly hour, they stood in my yard arguing about some TV show! They had to leave and come back three times because they didn’t have the right equipment—and they billed me for travel time! You don’t want to waste your time, and you’re looking for an electrician that doesn’t want to waste it either. Don’t throw a dart. Check out A-Lumination Electric, a top-rated Altamonte Springs residential electrician. They’ve been in business since 1989, and their customers can atest to their prompt, no-nonsense approach. You can trust that they will not try to nickel and dime you, and they certainly won’t perscribe imaginary electrical needs. A-Lumination Electric does not charge an hourly rate. Before a qualified electrician starts work in your home, you will have agreed to a set price. Our electricians don’t waste time or milk the clock. They get the job done as quickly and as efficiently as possible, so you can rest easy. These Altamonte Springs electrical contractors do everything that they can to come prepared for anything. If you have an electrical emergency, you can almost guarantee that they will be able to diagnose it and handle it on the spot. Whether your electrical emergency occurs at one in the afternoon or one in the morning, you can call (407) 298-1412 and have a certified Altamonte Springs residential electrician at your door in no time. A-Lumination Electric understands that electrical emergencies are anything but convenient, and they can happen at any time. A-Lumination Electric, aside from being BBB accredited, won a Best of HomeAdvisor Award in 2013! You can’t get a better recommendation than that! All of these elements—charging a flat rate, arriving equipped and on-time, as well as offering 24/7 emergency service—contribute greatly to the success and high approval rating of this Altamonte Springs electrician. And yet, there is more. Aside from these rather convincing factors, the electricians at A-Lumination Electric are courteous and experienced. They will always treat your home with respect and discretion, and they offer a wide variety of services. Whether you need a simple Home Safety inspection, to have your electrical panel replaced, or even ceiling fan installation for those humid Florida days, these amazing Altamonte Springs residential electricians will get it done promptly, professionally, discretely, and efficiently! 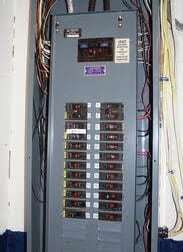 Is your Altamonte Springs circuit breaker panel safe? Is it out of date? A-Lumination Electric is your Go-To Altamonte Springs Circuit Breaker Panel Replacement Specialist!